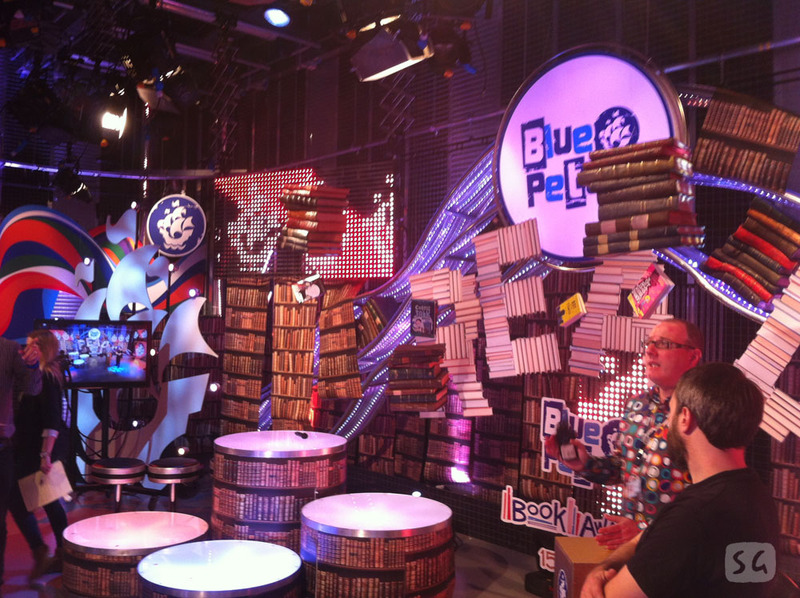 It's been a week since i went up to Manchester to appear LIVE on Blue Peter to collect our Blue Peter Book Award for winning the Best Book With Facts. What a whirlwind! It was great to finally meet up with the author Andy Seed and talk shop.. and Bullseye!! 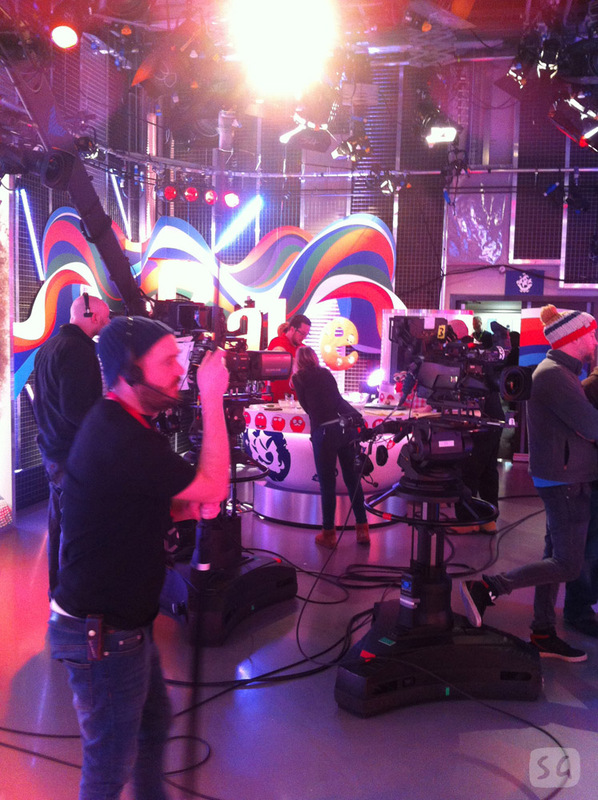 (another old TV show, Andy was on it once and i was very jealous!). I just about found my way to the correct studio in time, though no thanks to any of the reception staff at 3 of the BBC buildings. Straight into practicing my line for a question i hadn't been told yet! Anyway, it all went pretty smoothly and hopefully my nerves were tucked a little under the surface. 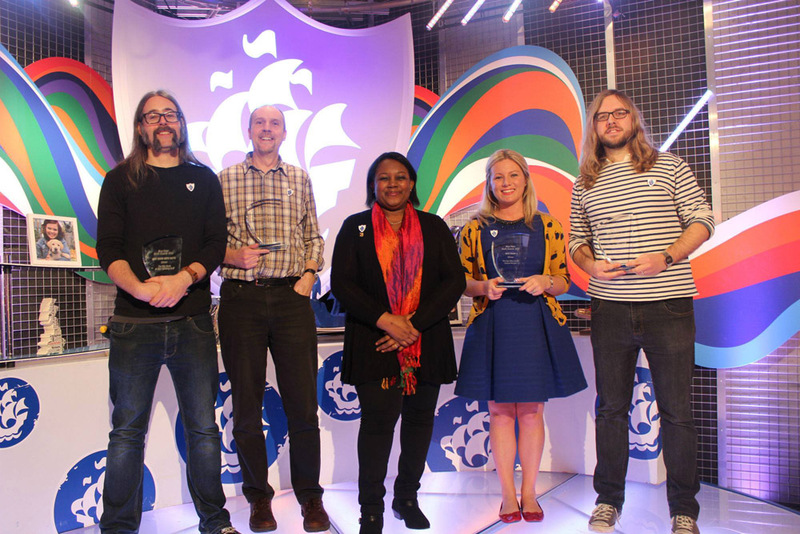 Me, Andy, Malorie Blackman (childrens laureate), Pamela and Thomas. 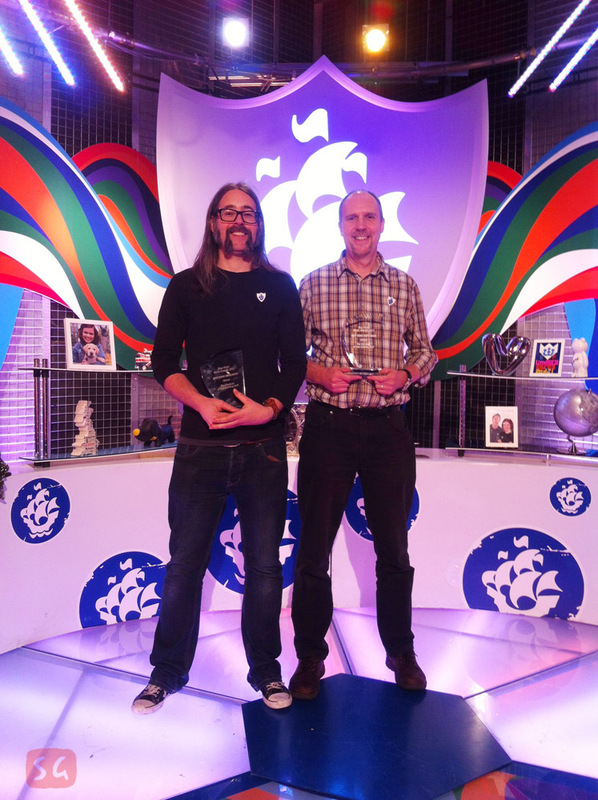 It was also really nice to meet author Pamela Butchart and illustrator Thomas Flintham, who won the Best Story. It was funny when Thomas turned up with his long hair, beard and glasses! I even had the same colour t-shirt, but slowly cooked myself in my top as i had already been mic'd up (Thomas later changed it anyway, but it was a similarity too far!). You should go and check out his fun website, lots of lovely stuff! 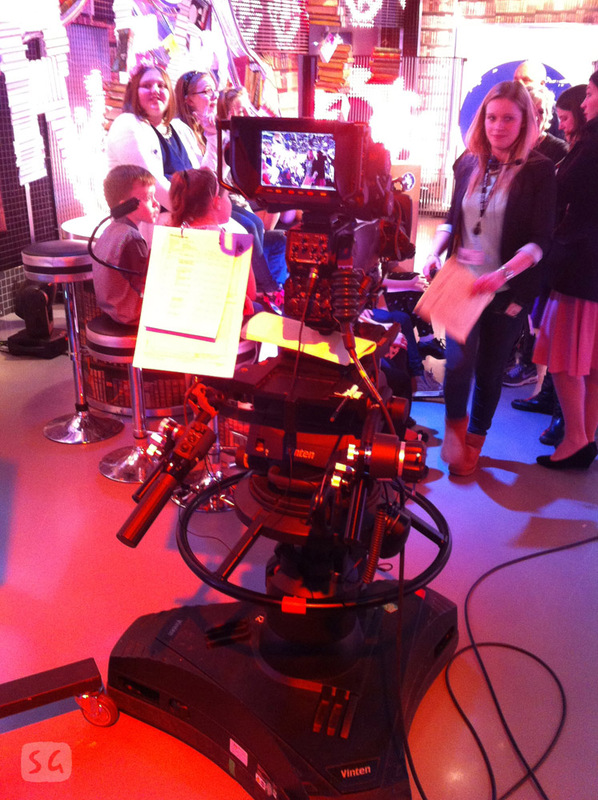 It's utter madness in those TV studios, so many people and cameras and cables etc, all in one pretty compact space. They do a great job of putting it all together. I managed to get a few photos from the day... i won't put them all up! 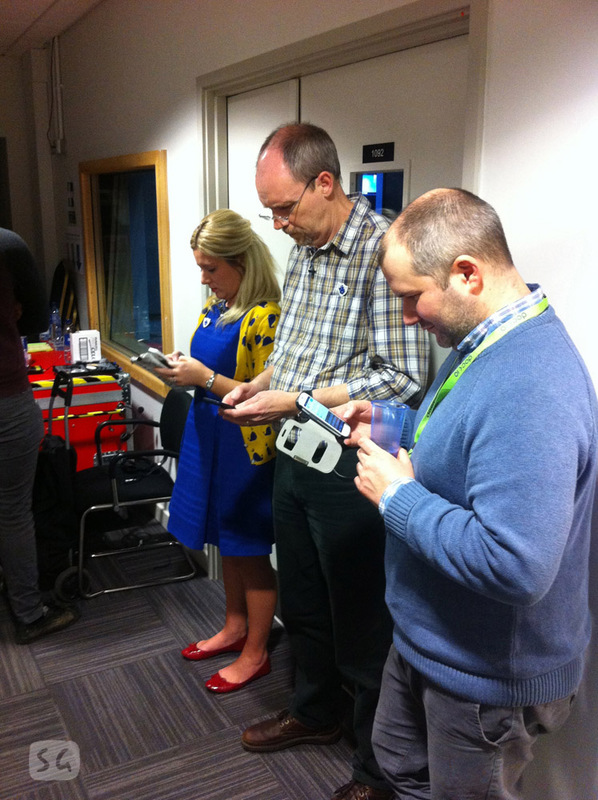 All go backstage. Writers, Publishing rep and twitter! 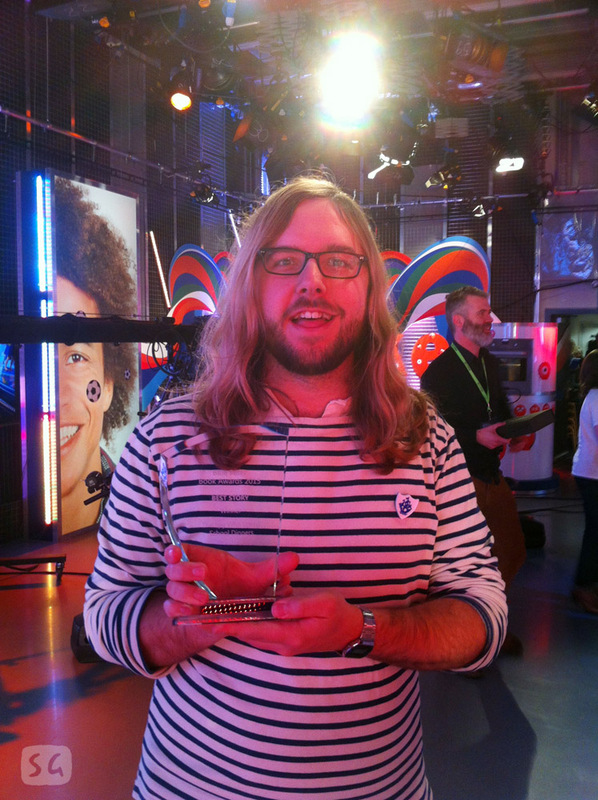 Thomas with his trophy, brotherhood of hairy illustrators! Anyway, it was fun while it lasted, but now it's back to the real work, I've got a books worth of Here's Hank art to deliver in just over a week. 57 illustrations, they're going well, but the count never seems to go down!! Thank you! It was good fun.. but i've really got to get a handle on my nerves... my body betrays me!